Kong only allows IP addresses. Therefore, no DNS addresses can be used. All instances reside in a flat network topology. Therefore, there cannot be any NAT (Network Address Translation) between the two datacenters. A common set-up would be configuring a Virtual Private Network (VPN) between all your Kong nodes. Another option would be using public IP addresses. 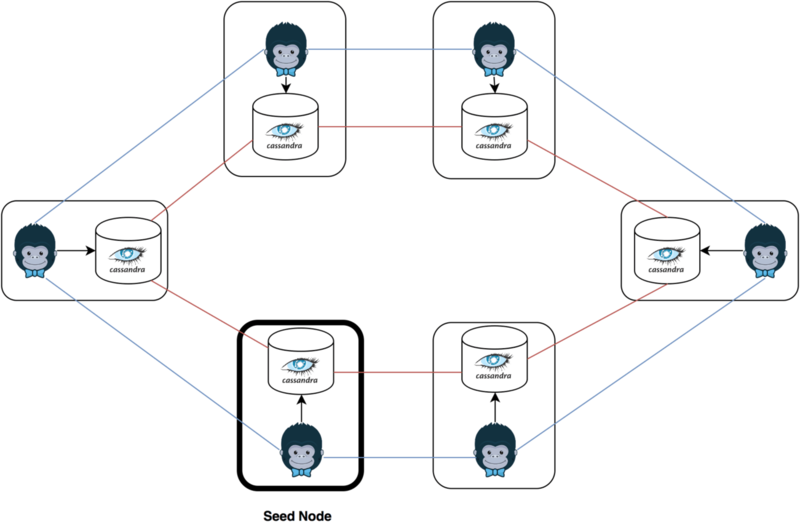 In this documentation, each node acts as a Datastore and a Kong node. Figure 1 shows this configuration. The example string “Na5P3WKqXi9UDOsG43eSTg==” will be used as the Kong Cluster encrypt Key. # seeds is actually a comma-delimited list of addresses. - seeds: "<Seed Node Address>"
NOTE: For consistency reasons, it is better to wait 2 minutes between node additions. If you come across the error cannot bootstrap while cassandra.consistent.rangemovement is true, then repeat the previous two steps. Note down the value of KONG_DB_PASSWORD, as it will be used in later steps. 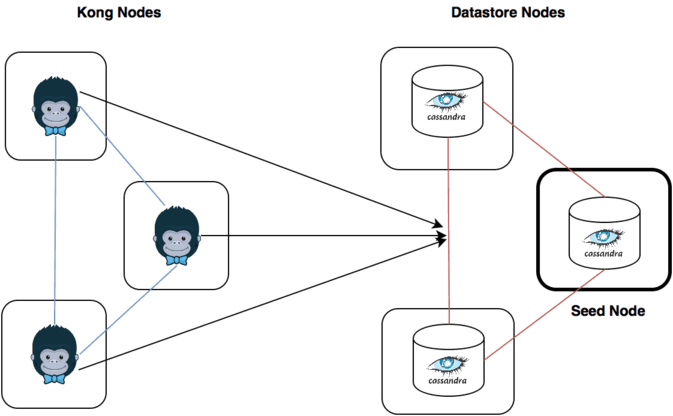 Apart from the previously explained configuration, you can have Kong and Cassandra separated in different nodes (Datastore and Kong nodes), just like it is shown in figure 2. This section assumes that you have configured your cluster as described previously.